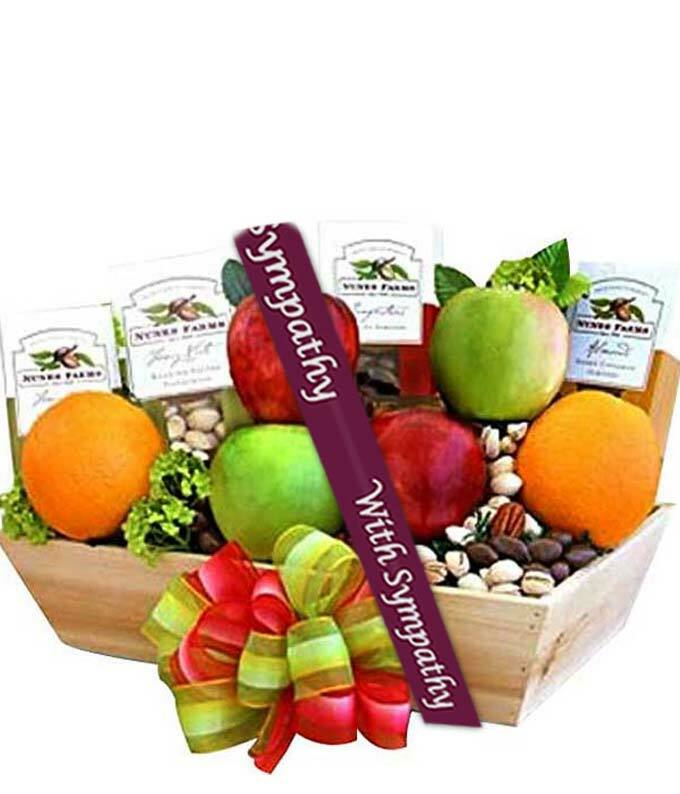 Send warm thoughts to a loved one during their time in need with this gift basket full of fruits and snacks. It'll help them get through a difficult time and will mean so much to them. ***During the summer months, from June to October, we will only be shipping this fruit basket Monday thru Thursday, due to the potential heat conditions.